Are You Finally Gonna Get to Iceland in 2018? The breathtaking appeal of Iceland awaits guests aboard Beyond Cruises by Group IST in 2018. The trending destination highlights the line’s weeklong journeys as cruisers delve into local adventures, entertainment and delicacies by way of educational shore excursions. “The launch of the Beyond Cruises Iceland program is a natural outgrowth of Group IST’s expertise in combining people-to-people experiential travel and the special delights of small-ship cruising,” said Michael Goren, President & CEO, Group IST, in a press release. Included among the showcased spots will be the famed geothermal spa of the Blue Lagoon and the UNESCO World Heritage Site of Thingveller National Park. The latter encompasses the fascinating Eurasian and North American tectonic plate separation and geological fault. LED lights will also provide a magnificent ice glow within carved tunnels and caverns descending hundreds of feet into the Langjökull glacier. Iceland’s nature takes center stage in the form of dramatic fjords and waterfalls, as well as pristine wildlife such as puffins, dolphins, porpoises and humpback whales. Meanwhile, active discovery ranges from museum visits and beer drinking to hiking and snowmobiling. 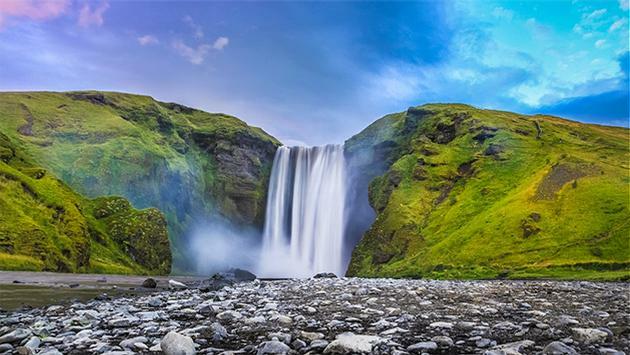 Eight-day itineraries are available from Reykjavik to Akureyri or vice versa. The port names in between challenge the special character libraries of any computer as well as proper pronunciation, but expert cruise guides will surely have guests annunciating them with confidence by the end of each week! Offsetting the volcanic grandeur of Iceland itself is the intimacy of the Beyond Cruises experience. The M/S Panorama is a private three-masted motorsailer that accommodates only up to 48 guests. Ashore, that translates into closer proximity to off-the-beaten-path destination highlights and tours devoid of massive tourist groups. Onboard, there are just 24 cabins with an attentive one-to-two, crew-to-passenger ratio. It creates a friendly social scene in which like-minded guests can easily mingle at the deck bar or during open-seating meals. The 54-meter ship was originally launched in 1993 and last renovated in 2014. Three decks are comprised of a trio of cabin categories plus the main dining room and lounge areas. 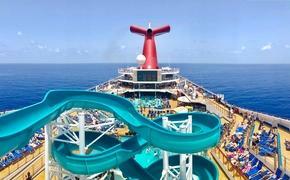 There’s also a swimming and snorkeling platform at the stern as well as a scenic sun deck. Beyond Cruises by Group IST is all about educational enrichment and passionate exploration delivered via small ship comforts, and Iceland is set to leverage it all. Icelandic sailings are scheduled to begin on June 9, 2018. For more information, contact a travel agent, call 1-800-833-2111 or visit www.beyondcruises.com.